If it's the wow you're after, booking this Afro-Jazz, Afro-Chic Cocktail Duo will certainly provide you with a night to remember! AfroChic is a fresh new team for the corporate and events market. Catering to all the music tastes of the guests. Rike and Jimmy are an interactive masterpiece. 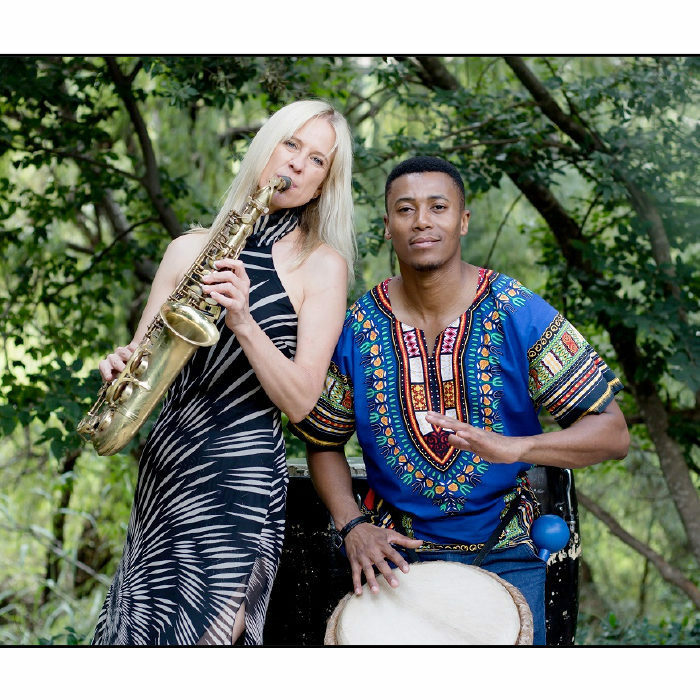 The organic sounds of Africa, form the rhythm to the commercial tones of Jazz. Together they play all the familiar favourite hit songs. Performed in their unique style - that is AFROCHIC. Jimmy is one of our premier performers. A well know DJ, Drummer and entertainer. His engaging personality and superb drumming has made him a popular choice in recent years. Rike started her music education at age six, playing the piano and later the oboe and performed in various youth orchestras during her school years. At the age of nineteen she was introduced to the alto saxophone and decided to make it her main instrument. Her repertoire ranges from classical to pop and jazz, Rike performs a variety of styles of music to create atmosphere and ambience to suit the event. She often roves around guests whilst performing light background music.